Thanks to Natalie over at Natalie Snyders, SLP for hosting this fun linky! My name is Jen, and I live in southeast Michigan with my husband and our two boys ages 7 and 8. The boys keep us super busy! 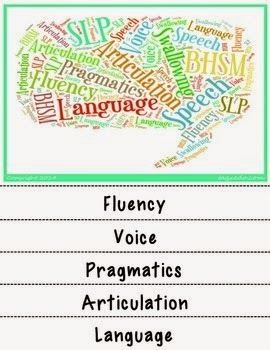 I have been a speech-language pathologist for 15 years, the majority of them in public schools. I have been blogging and on TpT since November 2012, when I started on kind of a whim. I had no idea that I would be able to meet and interact with so many amazing SLPs! The tagline on my blog says "A Place to Explore Speech and Language Ideas." 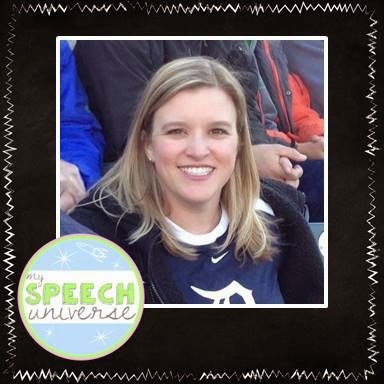 My blog is mostly ideas and activities that help me out in my practice as a school based SLP. I love to use apps in therapy, so there are often app reviews. I highlight new products that I have produced for my therapy room and my TpT store. I also have a new feature where I am highlighting some simple tips and tricks that help me out in my everyday SLP life. Once in a while I will also talk about things that I am passionate about, like raising money for the JDRF in honor of my son who lives with Type 1 Diabetes. My TpT store consists primarily of things that I have made after being inspired by my students. I have a lot of activities targeted towards and inspired by my ASD population of students. If I had to be totally honest, I think my dream job would be to stay at home with my boys or secretly to be a major movie star. But, I can't act, and I really love my job at my school, so, I guess I am staying there! In terms of a speech-language pathology job, I think I really have it all. I love working with the K-5 population, and I love working with the ASD population. I have both, so I guess I really do have my dream job. I love running, playing with my boys, and anything crafty. Who else should you know? This is a tough question! There are so many people that I think you should follow. 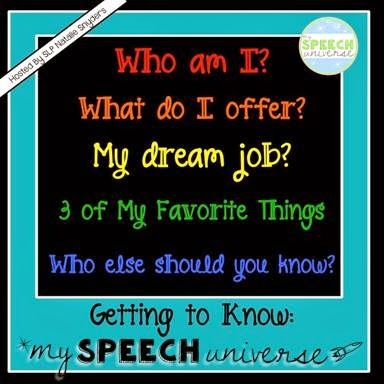 But, I really think you should know Kelly over at Speech 2U. She is seriously so smart and funny, and her posts make me laugh out loud, and make me think. Check out her BHSM: Flip Flap Freebie at her TpT store. Hopefully you can learn a little bit about some new SLP bloggers through this linky. Thanks for reading! Kelly is amazing, isn't she?